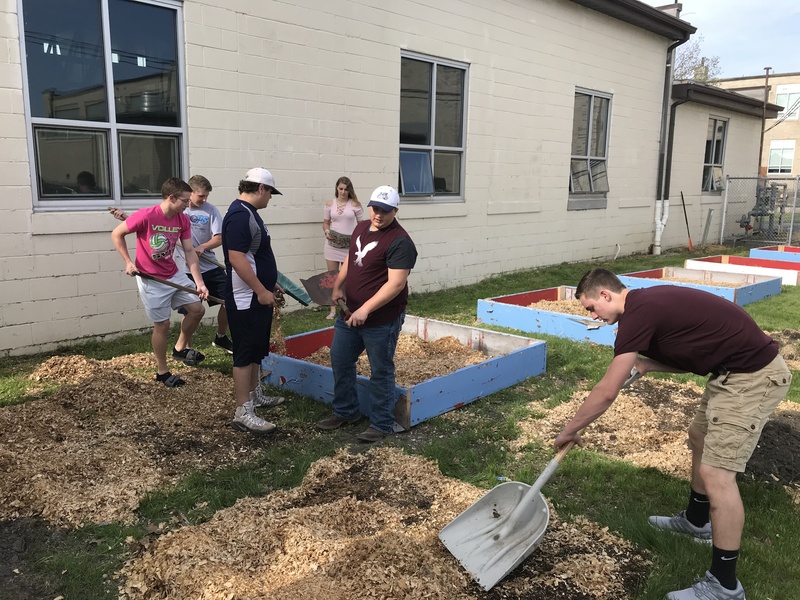 The Agriculture and Family & Consumer Sciences program at Cissna Park High School is growing – tomatoes, carrots, peppers and more in the new raised beds built by the Ag Construction students. Last year, a trial garden was started with three raised beds, which provided produce for Foods classes as well as Peace Meals. Because of the success of the small trial plot of 3 raised beds, a larger garden was planned for this season. With funds provided by the Cissna Park Education Foundation, 17 beds are now being planted with seedlings grown by ag classes in the greenhouse. The school garden will teach students throughout the school about the life cycle of plants, and allow hands-on learning we plant, weed, and care for the plants throughout the growing season. The FACS classes will use some of the garden produce in foods labs this fall, and in promoting healthy eating habits throughout the school. Thank you to the Cissna Park Education Foundation for providing grant money for the supplies used in this project.